Duggan & Hughes is here to resolve issues involving child custody. When an agreement between the parents cannot be reached, the issues are resolved by the Family Court. 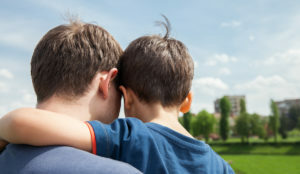 Addressing the best interests of the child is vital to a successful conclusion in a child custody dispute. If you need legal representation regarding child custody in Greenville, Spartanburg, as well as the entire upstate of South Carolina, please contact Duggan & Hughes.